The USS CONCORD (AFS-5), a Mars class combat stores ship, was commissioned on 27 NOV 1968. CONCORD was built at National Steel and Shipbuilding in San Diego, CA. After commissioning she was assigned to the Atlantic Fleet and served her entire career there. USS CONCORD's "ship's work" was the underway replenishment of the fleet. She performed per her motto, "First Then - First Now" through repeated deployments, primarily to the Mediterranean Sea. 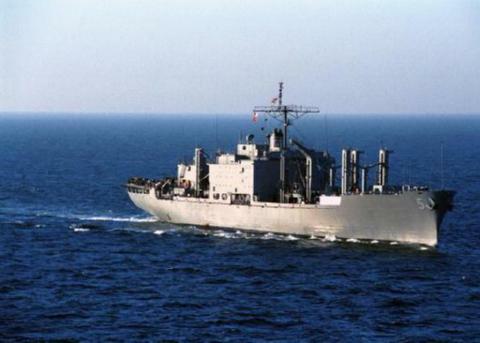 USS CONCORD served her country for 23 years, 10 months and 18 days, until decommissioned on 15 OCT 1992. She was transferred to the Military Sealift Command as T-AFS-5 and continued her assigned mission with a civilian crew under navel leadership until her inactivation in August 2009. She is laid up at Naval Inactive Ship Maintenance Facility - Pearl Harbor, awaiting her disposal by SINKEX.